It is never a good sign to spot a possum on your property for a number of reasons. Not only are they known carriers of infectious diseases, they cause landscaping and property damages too. Gardens, lawns, gutters, roofs, trashcans, and more are all common areas of a property damaged by opossums and other nuisance wildlife. To make matters worse, opossums do not like to travel far, so means if you see one, its den is most likely somewhere close by. This means they are permanent neighbor. For this reason and more, it is wise to implement some methods to keep opossum away from your property. Continue reading to learn more about possum behavior, and how to safely get rid of them for good. In contrast to common belief, opossums are not rodents. They are marsupials native to North America. At full adulthood, opossums can weigh on average around 15 pounds and measure up to two feet in length. This is about the same size of a small dog. This attribute alone can alarm anyone who crosses paths with an opossum since many assume they are the size of rats or rabbits. Although not an animal known for viciousness, it can attack and bite in self-defense if it feels threatened. This is a bad scenario since possums can be carriers of infectious diseases. First, it is important to never, under any circumstances, attempt to trap, harm, or kill wildlife, including opossum. Instead of applying inhumane or illegal methods of opossum removal and control, instead, opt for some Eco-friendlier tactics. Your top priority is to make your property unattractive to opossum. So this means you must think about what they want. The answer is food, water, and shelter. Once you make the proper environmental modifications to eliminate these attractions, you can further abate your opossum problem. Once you eliminate all possible food, water, and shelter sources, your next step is to protect your house from wildlife tampering and damage. Since you have spotted nuisance wildlife on your property already, you can be sure that your home is a possible target for animal infestations and damages. To avoid such damages, contact a licensed Indianapolis wildlife control company for a full-property inspection, and possibly, opossum removal services. They can identify vulnerable areas or infestations, suggest workable solutions, and provide all the necessary remediation services. Such services include closing up all holes and gaps to roofing, siding, porches, decks, garages, gutters, and more. Call 317-257-2290 for assistance with a nuisance opossum problem on your property. We offer free estimates, DIY advice, discounts, raccoon cleanup services, attic restorations, structural damage repairs, wildlife proofing, prevention, extraction, exclusion, and much more! 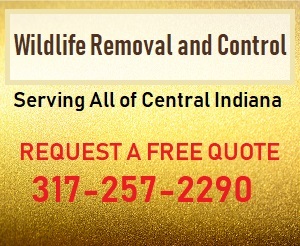 Call 317-257-2290 to request a free estimate for Indianapolis wildlife control, today. 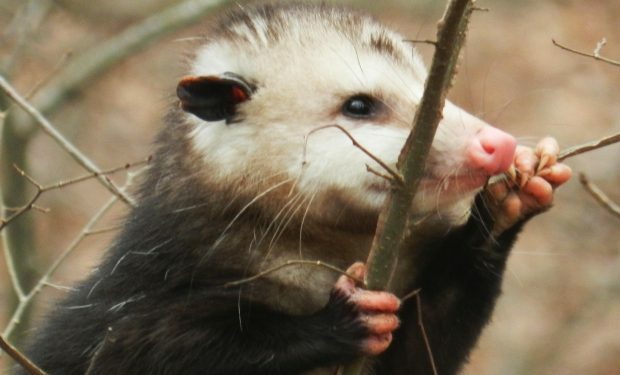 This entry was posted in Opossum Removal and Control and tagged get rid of Opossums, Opossum control Indianapolis, Opossum Removal and Control, Opossum removal Indianapolis, possum prob. Bookmark the permalink.